My internet speed from my isp is 400 mbps. The problem is that none of my devices except my iPhone can come close to that. My router is an arris sbg7400ac2 capable of 1 gig per second. 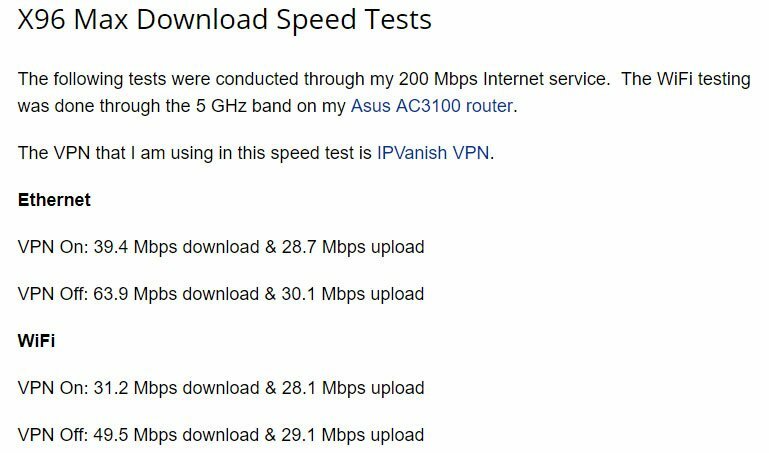 My question is are there any router settings I can set to up my speeds or could it be the devices connected aren’t capable of those higher speeds? Hi. I amCustomer Thank you for using justanswer. Can you please tell me what are your other devices and how much speed are you getting on them..? My iPhone speed test were 400-500 mbps. My laptop connected via WiFi was around 100. And my android box connected via Ethernet was around 80-100 with my vpn off. I feel my other devices should be much higher. You are using a dual band wifi router. it has 2.4 ghz ang 5.0 ghz radio bands. Among them only 5.0 ghz has the capability of gigabit speed. Iphone supports 5.0 ghz connection so that's they get higher speed. Ethernet connection is limited to 100mbps download and 10 mbps upload, so that's the limit on your android box. And most of the laptops don't support 5.0 ghz radio band only macbooks and some high end gaming laptops supports 5.0 connection. So based on the info you gave me I would say you router is fine, It's your devices. You only have to worry about if the device speeds drops below 10 mbps. Well here’s another problem, my isp says there’s some interference in the line. I imagine it could be from the lines ran. Do you suggest I get that taken care of even tho my numbers seem fine? That might be because of your vpn on android box. It can sometime interfere with network speeds. And also check if there is any background apps running on any of your devices. If you want higher speeds on your laptop there is a way, please wait I'll explain. You can go for a usb dual band wifi adapter, which will connect to the 5.0 ghz radio on your router and you can get gigabit speeds. Please wait I'll add a link below. Please tell me the model of your android box. Sorry, the usb port on your android box doesn't support wifi adpater. I am attaching a pic below about the speed specs of your android box. It doesn't support higher speeds. Please take a look at the pic below and see if you are getting the mentioned speed. If you are considering to upgrade your android box, you can go for one with gigabit ethernet port. You router has gigabit ethernet support and you can connect with high speed. When you use vpn the data bounces through different servers all oner the globe, that's why you are getting buffering during video playback. A VPN or proxy will slow down the speed regardless of your isp network speeds. Even if you use a higher speed connection there will be bottlenecks during the VPN data exchange. Please feel free to ask if you have any other queries. If you are interested I can send you some android box with gigabit speed support. Are you interested..? please do that would help. Also I believe my isp blocked my ipstreams app, have you ever heard of them blocking apps?The app freezes if the vpn is off and works when the vpn is on. Yes, some isp does that, it will depend upon the IT regulations of the country you are in. I am from India and those apps are banned here. Please see the links below, they are android boxes with dual band wifi support, you will get better speed from it. Some service providers also does these restrictions because of security reasons. Any app or service which conceals or mislead our internet identity will be closely moderated by the providers. To know more about the blocking of your app, you can contact your isp about. Maybe it is some mistake from their part, and you might get the service back. Please try the links I send you. You can connect your router to those with a cat6 ehternet cable and you can get upto 1000 mbps speeds. Cat6 can go upto 10 gbps and it has less electro-magnetic interference. All the cables nowadays are cat6, it's better to go for cat6 and they have a better durability compared to others. They won't bend or break so quickly. Please feel free to ask if you need to know anything else..
Or if you are satisfied with my service, Please leave me a 5 star rating above. I am sorry but that might be a mistake, the pic I send you earlier is directly from the box's website. If you are absolute about it you can try connecting it with a cat6 cable. I am sending the link to your usb wifi adapter again for your laptop. It will work for sure about your laptop speeds. Awesome! I will order adapter today. Do you know how should I configure my router settings. I recall seeing something like ac only, ac/n, etc for the 5ghz channel and the 2.4ghz had something like that but with different letters. What’s the meaning of that? Don't put it in ac only, it will then only broadcast 5ghz radio. a,b,g,n are for 2.4 ghz which will be slower but has a higher coverage. ac is 5.0 which has higher speed but lacks in coverage. Better to leave all on. Please leave any further queries below and don't forget to rate me with 5 stars above. Not at all, Please feel free ask..